The Ministry of International Relations and la Francophonie of Quebec (MRIF) celebrated its 50th anniversary in 2017, and on this occasion, they created 50 medals to thank and highlight the contribution of 50 personalities and organizations that have marked the international relations of Quebec. The Lussier Group has always been able to forge strong links internationally and has helped and supported other Quebec companies that are involved in the same process. This support for Cuba and the development of Quebec’s presence in Cuba was acknowledged with the award of the Minister’s Medal to the Lussier Group and its founder Gabriel Lussier. The Minister also highlighted the contribution of Terracam, a subsidiary of the Group that specializes in international export and especially to Cuba, in establishing strong and lasting trade links with the Republic of Cuba. The medal award ceremony took place in Sainte-Julie, in the presence of the Minister of International Relations and la Francophonie of Quebec, Mrs. Christine St-Pierre and the Consul General of Cuba in Montreal, Mrs. Mara Bilbao Diaz. “It is a real pleasure to grant this 50th Anniversary Medal from the Ministry of International Relations and la Francophonie to the Lussier Group. 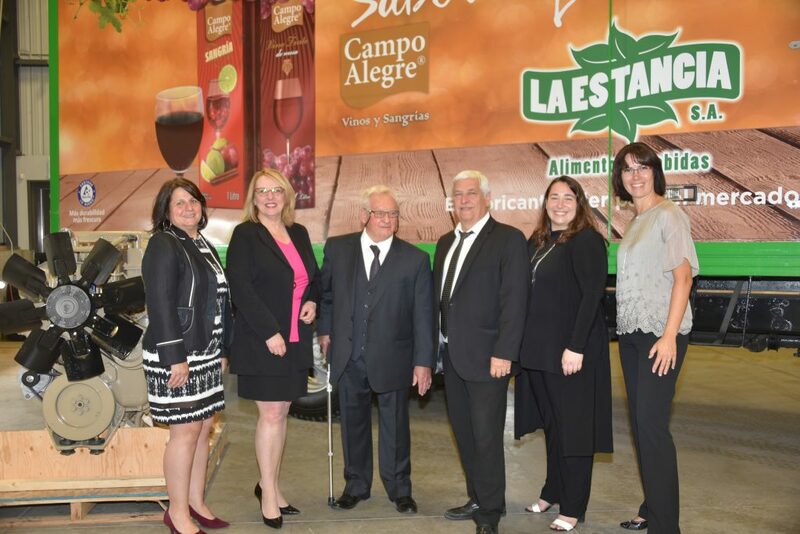 For 50 years, the Lussier Group has been contributing to Québec’s economic and social prosperity, as well as building a solid reputation in the sale of new and recycled trucks and parts, especially in Cuba. I am pleased to present this medal to a family business that has been showcasing Quebec’s expertise for more than 25 years in Cuba” – Christine St-Pierre, Minister of International Relations and la Francophonie.